Stu and I have just been to Belgium for a long weekend. Stu had never been before so we jumped on the Eurostar and before we knew it were there. Brussels was cool. We ate mussels, drank beer and milled (and mulled) about town. 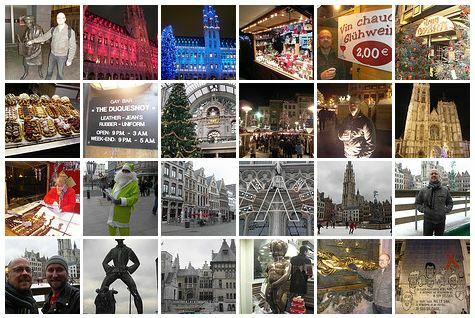 Antwerp was even better; the Christmas market excellent, the Santa race was fun, we sat in a bar watching the ice-skaters and the twinkling lights in the square in front of the cathedral.